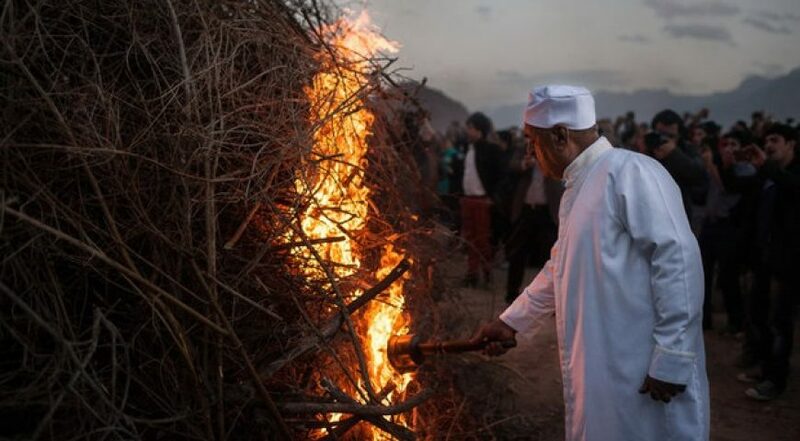 Zoroastrians from all over Iran and other countries even the Muslims in Iran gather in Kerman to celebrate the Zoroastrian Sadeh festival by burning firewood outdoors. 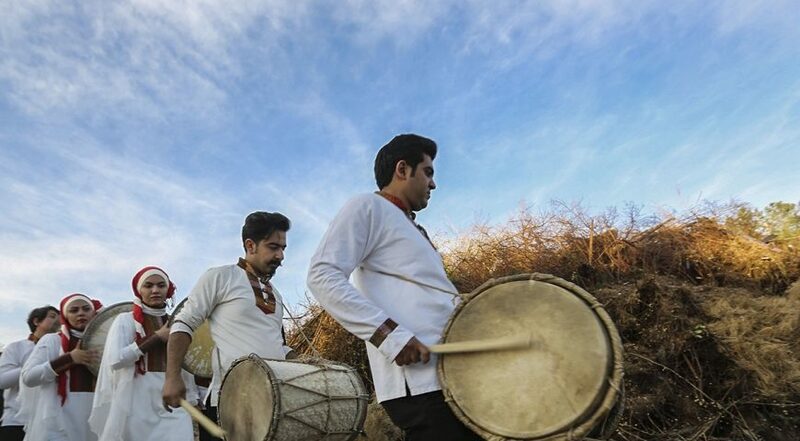 Kerman with the greatest Zoroastrian population celebrate the religious feast of Jashn-e Sadeh by burning firewood outdoor to signify the coming of spring and to defeat the forces of darkness, frost and cold. The festivities would hold for three days. The evenings are spent eating and giving out foods as donations; food which prepared from slaughtered lambs & shared among the poor people. Also there is a cave in a mountain near Yazd city , called Chak-Chak Fire Temple. 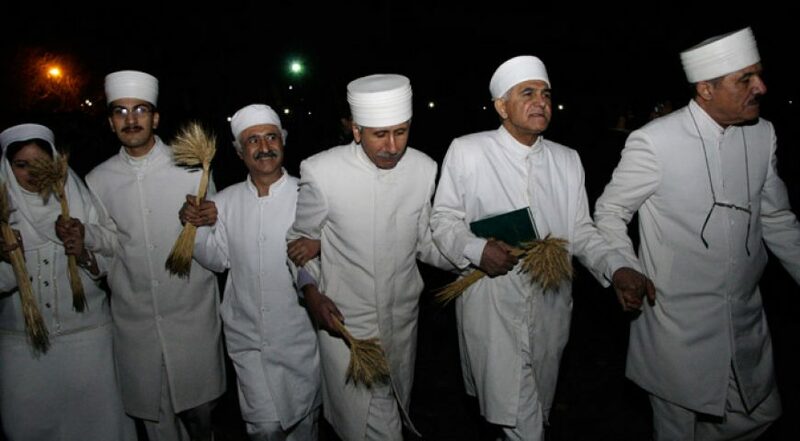 Annually during the Sadeh Feast special ceremonies are held in this place. 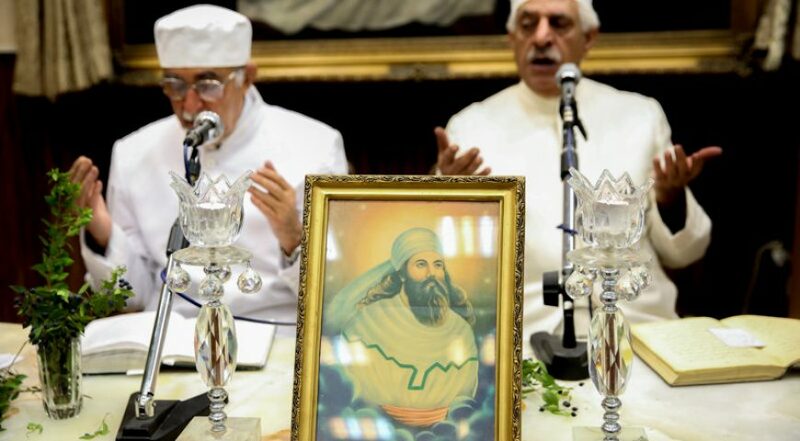 It is believed that the last Zoroastrian princess took shelter there in 640 AD when the Muslims expanded their power to the east.